Author Dennis LeHane has plenty of experience with movie adaptations, only he's always the one getting adapted. LeHane's novels, Mystic River, Gone Baby Gone, and Shutter Island have all been turned into movies, the latter of which starred Leonardo DiCaprio. Now, LeHane will provide the screenplay for the adaptation of the 1964 mystery novel, The Deep Blue Good-by, which will also star DiCaprio. The film will be called Travis McGee, after the main character of the book, which spawned a 21-book series by author John D. MacDonald. 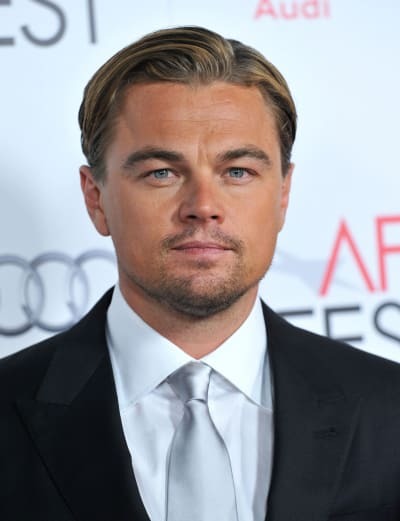 DiCaprio (The Great Gatsby) has been trying to get an adaptation underway for a while, with him in the role of McGee, a sleezy beach bum and self-described "salvage consultant," who recovers clients' property for a fee. So much for DiCaprio's "break from acting."